We are a company limited by guarantee incorporated in 2002 as Community Health Action Partnership (CHAP). In 2009, we changed our status to an industrial and provident society (a community benefit society). 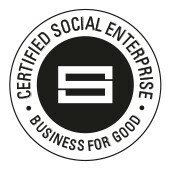 At the same time, we changed our name to Unlimited Potential and became the first social enterprise in the North of England to receive the Social Enterprise Mark. As a social enterprise, we are a business that operates for a social and environmental purpose and reinvests all of our surpluses towards our mission. We are democratically controlled and accountable to our Supporters (members) through our Board of Directors. We also have an Advisory Council that ensures that the Board works to the benefit of the community and advises the Board in determining the strategy and forward plans of the Society. Unlimited Potential holds the Investors in People Standard, and is an accredited Living Wage Employer. We also have a Healthy Workplace Award from Simplyhealth. Starting out in 2000, Unlimited Potential began life as the Community Health Action Partnership.